July 29th 2017: Baby Charlie Gard dies. Latest ethical analysis – clash of interests: life and death. The term ‘end of life’ usually refers to the last year of life, although for some people this will be significantly shorter. 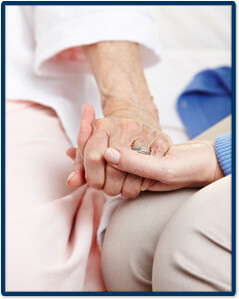 The term palliative care is often used interchangeably with end of life care. However, palliative care largely relates to symptom management, rather than actual end of life care. The RCN believes that end of life care is not just the responsibility of specialist nurses and teams, rather that everyone should be able to care for a loved one as they reach the end of their lives, including all nurses and health care support workers in all settings, the patient’s family as well as members of the community. End of life care is not just the practical and technical delivery of care provided to the individual who is dying, but also refers to the support and information available both to them and the people who are important to them, e.g. bereavement support. Lord, when did we see you sick? A Journey with the Sick by a Hospital Chaplain. This story is one of many, Wesley J. Smith recounts in his award-winning classic critique of the modern bioethics movement, Culture of Death. In this newly updated edition, Smith chronicles how the threats to the equality of human life have accelerated in recent years, from the proliferation of euthanasia and the Brittany Maynard assisted suicide firestorm, to the potential for death panels posed by Obamacare and the explosive Terri Schiavo controversy. Culture of Death reveals how more and more doctors have withdrawn from the Hippocratic Oath and how bio ethicists influence policy by posing questions such as whether organs may be harvested from the terminally ill and disabled. This is a passionate yet coolly reasoned book about the current crisis in medical ethics by an author who has made â€œthe new thanatology his consuming interest. Wesley J Smith (2006):Forced Exit: Euthanasia, Assisted Suicide and the New Duty to Die. Fear and False Promises: The Challenge of Pain in the Terminally Ill (1995). Dr John Scott. (In : EUTHANASIA AND ASSISTED SUICIDE (1995): The Current Debate, ed. Ian Gentles. Toronto. Stoddart Books) . Nursing Innovation: A Nursing project to improve the care of people at the end of life by emphasising patient experience, has selected 19 teams to join. Drawing up an updated written procedure, drafted and owned by ward nurses, for the care of each patient’s body after death. Ensuring nurses attend regular meetings with families and doctors when end of life care is discussed. Providing training on end of life medication and syringe drivers for nursing staff, with prompts to ensure early prescribing. Sending a sympathy card from ward staff to family members on the death of a patient, with a personalised message from the nurse who cared for the patient. Ms Riley said that being involved in the project had given her ward a good opportunity to focus on end of life care.˜We spent every week of the year doing it, and trying to achieve it has really meant something to the ward. Ms Riley said one challenge had been engaging doctors in the process.˜We are a nurse-led team and it has been difficult to get the doctor’s involvement in some of the care we give and getting them to help us with our decision making. Ms Riley advises new LWVE teams to allow themselves plenty of time and emphasised how important regular weekly or bi-weekly meetings had been to the project’s success.The Point of Care Foundation head of improvement Bev Fitzsimons said: “The great thing about this programme is that many of the improvements that are beneficial to patients do not take significant time or money for staff to implement. “The changes we see look simple, but it is only by having the time to take a step back that staff can notice seemingly small things, such as practical aspects that add stress at an already difficult time.These are incredibly important changes that can be underestimated when outcome measures focus on clinical care. Ethics Workshop Part 1 -3 Â Overview of Moral Reasoning and Ethical Theory, Shannon French, PhD.